In reasons published December 9, 2010, Mr. Justice Stewart of the BC Supreme Court awarded a 50 year old Plaintiff, who suffers from complex chronic pain following a car accident, $610,453 in Morlan v. Barrett, 2010 BCSC 1767. Given that the Plaintiff was 50 years of age at the time of trial, Morlan v. Barrett represents one of the larger awards for damages in a chronic pain case in recent years. Notably, the award for future capacity loss was made although the Plaintiff had no lost income pre-trial. In British Columbia, even if a Plaintiff has made as much or more money prior to trial regardless of their injury, if the person's capacity to earn income has been diminished by an accident, and there is a real or substantial possibility they will have reduced income in the future, the Court can award damages for future capacity loss. Morlan v. Barrett is a good example of the law in this regard being applied fairly in favour of a Plaintiff. 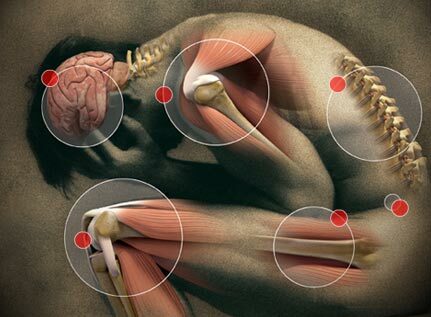 Complex chronic pain cases involve Plaintiffs who suffer extreme levels of pain and disability with little objective evidence of physical injury. Insurance companies invariably don’t believe the content and extent of the subjective reports of complex chronic pain sufferers. Clients with complex chronic pain often have little choice but to go to trial, or, face settling their cases at a massive discount from the damages they should be legally entitled to receive in order to avoid a risk fraught trial. From the perspective of trial lawyers complex chronic pain cases are challenging because of their subjective nature and the fact that the medical specialists that treat and opine on pain conditions label the same conditions differently and use varying terminology to discuss the same patient and condition. For example, a psychiatrist will likely diagnose a chronic pain suffer with a pain disorder under the DSM IV, while a rheumatologist may diagnose the same patient with fibromyalgia, and a physiatrist may diagnose the same patient with myofascial pain and/or mechanical spine pain, and a specialist in complex chronic pain may diagnose the same patient with a number of these and other overlapping conditions. All of the Plaintiff’s experts may agree as to the ultimate prognosis for the client based on their own diagnosis. However, it can be concerning for trial lawyers attempting to present a coherent and rationale case to a Judge or Jury when there does not appear to be consensus among the Plaintiff’s own experts. Adding to these challenges is the presumption our Courts have against complex chronic pain sufferers. This presumption is based on a belief that was held based on medical science as it existed in 1994. It is the belief that because there is little or no objective physical explanation for ongoing pain, chronic pain is purely psychological and Judges and juries must be convinced that the chronic pain suffer has not simply decided to live a life of chronic pain of their own volition in order to achieve some secondary gain. 2 An obvious preliminary question in these cases is whether the pain, discomfort or weakness complained of is "real", in the sense that the victim genuinely experiences it. 3 Those cases in which the trier of fact is not persuaded that the plaintiff does in truth experience the suffering in question have, of course, to be eliminated, for the most part by the ordinary tests of credibility. Cases of the sort which then remain involve plaintiffs who are found by the trier of fact to be telling the truth in saying that they continue to suffer when no physical reason for continuation of pain, weakness or discomfort can be found. The problems of which these plaintiffs complain must be regarded as having a psychological, rather than physical, explanation, and Mr. Justice Spencer found this to be so in the case of the present plaintiff, Francisca Maslen. Taylor J.A. goes on in Maslen to say that even if a chronic pain sufferer passes the test of credibility, a Judge or Jury must look further. Regardless of whether the trier of fact truly believes that a chronic pain sufferer suffers the pain and disability they report, a Plaintiff must also prove to the trier of fact that the Plaintiff could not have overcome their condition through their own inherent “will power”, and that the Plaintiff has not chosen to remain a chronic pain suffer to allow himself or herself to enjoy, “care, sympathy, relaxation or compensation”. 7 I think it useful, therefore, before going further into the facts, to state what, in my view, ought to be regarded as the basic principles applicable to these difficult cases. 8 To meet the onus which lies on a plaintiff in a case of this sort, and thereby avoid the 'ultimate risk of non-persuasion', the plaintiff must, in my view, establish that his or her psychological problems have their cause in the defendant's unlawful act, rather than in any desire on the plaintiff's part for things such as care, sympathy, relaxation or compensation, and also that the plaintiff could not be expected to overcome them by his or her own inherent resources, or 'will-power'. 9 If psychological problems exist, or continue, because the plaintiff for some reason wishes to have them, or does not wish them to end, their existence or continuation must, in my view, be said to have a subjective, or internal, cause. To show that the cause lies in an unlawful act of the defendant, rather than the plaintiff's own choice, the plaintiff must negative that alternative. The resolution of this issue will not involve considerations of mitigation, or lack of mitigation. To hold otherwise, that is to say to place on the defendant the onus of proving that a plaintiff who suffers from a psychological problem had it within his or her own ability to overcome it, would be to require that the defendant, rather than the plaintiff, bear the onus of proof on the primary issue of causation, and would impose on defendants a heavy and unjustifiable burden. If a court could not say whether the plaintiff really desired to be free of the psychological problem, the plaintiff would not, in my view, have established his or her case on the critical issue of causation. Maslen v. Rubenstein is still good law in British Columbia. However, given advances in medical science and our current understanding of the etiology and pathological mechanisms that cause chronic pain, there are ways to lead evidence, and trial techniques, to better the chances of overcoming the Court's presumption. © 2013 – Collette Parsons Injury Lawyers | 1750 - 700 W Georgia Street, Vancouver BC, V7Y 1B6 | All rights reserved.